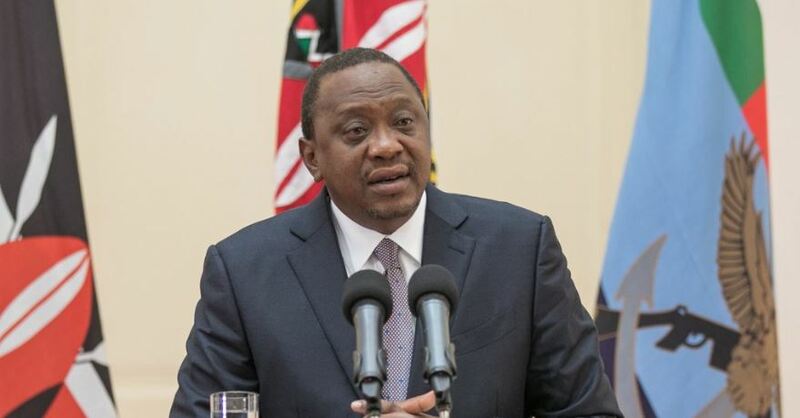 President Uhuru Kenyatta on Wednesday issued an Executive Order on Procurement of Public Goods, Works, and Services by Public Entities. The Executive Order is premised on the Constitutional principles of Chapter 12 on public financial management, and in particular Art. 201 and 227 that emphasize integrity, prudent use of financial resources, and fair, equitable, competitive and cost-effective procurement. It is in line with the President’s commitment to entrench good governance in the management of public affairs and deepen accountability and transparency in the procurement of public goods, works and services. The Order requires all government entities and public owned institutions to publish full details of tenders and awards beginning July 1, 2018. The publication will allow members of the public to access the information – which information shall include the items or services purchased, contract prices, and the particulars of the suppliers including owners, directors and beneficial ownership. In a statement by State House spokesman Manoah Esipisu, President Uhuru said this will enhance the highest level of public scrutiny at all units of public administration, and thereby improve the management of public resources for public good. Further, from January 1, 2019, all public procurement will be undertaken through the electronic platform of the Integrated Financial Management Information System (IFMIS). The president further stated that Cabinet Secretary National Treasury Henry Rotich has been directed to guarantee the integrity of the system, and secure the seamless integration of all public procuring entities. “As outlined in their respective Letters of Appointment, Accounting Officers shall take personal responsibility for all procurements in their agencies, and will be held personally accountable for all public resources under their charge,” Esipisu said.